Analyst Associate Editor, Professor Jean-François Masson (Université de Montréal, Canada) has selected his Top 5 articles published in the field of sensing and clinical assays in recent issues of Analyst. Professor Masson is Professor in the Department of Chemistry of the Université de Montréal. His research areas are sensing using plasmonic techniques, surface chemistry, metallic nanomaterials and portable instrumentation design for sensing of biomolecules and drugs in crude biofluids for improved clinical assays. Read what Professor Masson’s Editor’s Choice thinks about the Top 5 he has selected below– all articles are free to access for the next 4 weeks! Therapeutic drug monitoring is increasingly performed to ensure safe usage of drugs for the treatment of medical conditions. The analysis of dried blood samples is an interesting approach for rapid and minimally invasive clinical assays and for forensic sciences. In this study, the authors report microjunction sampling of dried blood spots in conjunction with mass spectrometry for different therapeutic drugs. This method showed lower limits of detection than comparable techniques and it was applied to the analysis of blood samples from donors, providing a proof-of-concept of actual use of this technique in clinical laboratories. The detection of testosterone is of importance in sport doping and in clinical chemistry. However, the detection of testosterone is often challenging. The authors propose a microfluidic device for detecting testosterone in serum and urine samples with an indirect chemiluminescence assay. The authors applied the optimized assay for the analysis of a series of human serum samples. They went one step further with the comparison of the results obtained with their assay with two commercial ELISA kits. The authors confirmed that their technique was in good agreement with the current state-of-the-art, an important step in the validation of a new method. 3-D printing is changing ways of prototyping and fabricating industrial devices. Recently, a few articles introduced 3-D printing in analytical sciences for the fabrication of detectors and fluidic devices. In this article, the authors go a step further with the application 3-D printing method for the fabrication of an electrochemical microfluidic cell with a wall-jet electrode. The authors report an improved detection limit with this device in electrochemical experiments and they integrated the electrochemical microfluidic unit as a detector in HPLC. This study demonstrates the usefulness and advantages of 3-D printing in analytical prototyping. While nanoparticles modified with fluorophore are now commonly used in sensing or in imaging techniques, their characterization remains challenging. In this article, the authors propose a general method addressing the current limitations for purification and characterization of the fluorophore-nanoparticle conjugate. They purified several fluorophore-nanoparticle conjugates with centrifugation and electrophoresis and then applied UV-Vis and ICP-MS to characterize the fluorophore to nanoparticle ratio for a series of nanoparticles modified with different fluorophores, demonstrating the broad applicability of their method. This technique will be useful to the large community of researchers designing new fluorescent nanoparticles. The application of nanoplasmonics in clinical chemistry is increasingly proposed to provide rapid and sensitive clinical tests. However, validation of nanoplasmonics in clinical samples remains relatively rare. In this study, the authors showed a nanoparticle aggregation assay for creatinine working in diluted blood and cerebrospinal fluids. The Ag nanoparticles were modified with picric acid for the selective detection of creatinine. The selectivity was shown with a series of 29 small molecules and 8 common ions. The results obtained with this technique were in good agreement with the current test for creatinine. This article reports on an example of the application of nanoplasmonics for targeted detection of a molecule of clinical interest in biofluids. Analyst Associate Editor, Professor Takehiko Kitamori (University of Tokyo, Japan) has selected his Top 5 articles published by Japanese authors recently published in Analyst. 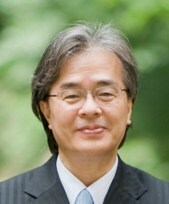 Professor Kitamori is former Vice President of the University of Tokyo and is also a Professor in the Department of Applied Chemistry. His areas of research are micro/extended-nano fluidics, integration of chemical systems on microchips, applied laser spectroscopy for ultrasensitive detection, analytical chemistry, and extended-nano space chemistry. Below, see what Takehiko says about each of the articles he has selected- all of which are free to access for the next 4 weeks! Molecular recognition characteristics were realized in temperature-responsive chromatography using a temperature-controllable stationary phase and water as the sole mobile phase, which has been continuously developed by the authors. Functionalizing poly(N-isopropylacrylamide)-modified stationary phase by aromatic amino acids dramatically increases the retention times of aromatic steroids and aromatic amino acids in the separation. The method has potential in the separation of complex and delicate peptides, proteins and antibodies, which is important in biomedical and biochemical analysis. Very useful iron oxide nanoparticles for matrix-assisted laser desorption/ionization mass spectrometry was reported, which greatly suppresses the background noise by self-ionization of ionization-assisting material. While conventional ionization methods and instruments have limitations by the molecular weight of the analyte, their new method allowed analysis of various molecules at wide-range molecular weights (102-104) such as pesticides, plant hormones, peptides and proteins. The authors discovered that using the hydrated ionic liquid can enhance the selectivity of DNA sequence sensing by 10,000 times, due to stabilization of the triplex structure of DNA and inhibition of DNA degradation by contaminating nuclease. The DNA sensor using the hydrated ionic liquid greatly contributes to detection of disease-related genes in genetic diagnosis. A new imaging mass spectrometry system coupled with affinity-based imaging was applied to screening of chemical compounds with high affinity for Alzheimer’s disease brain. The method is very selective and applicable widely for organs and tissues, which will be important in medical diagnosis and cell biology. The authors developed polymer nano-particles including temperature sensitive and less temperature sensitive dye, which allowed temperature sensing in millimeter tissue with self-calibration. Ratio-metric temperature mapping of fruit fly larva was successfully demonstrated with good temperature resolution (< 1 degree). You are currently browsing the archives for the Editor’s Choice category.